Comparing sizes in the picture above the 18650 is 1170 cubic mm, the 14500 and AA are 700 cubic mm, the AAA is 467 cubic mm. Note the 14500's cannot be used in all AA devices unless they support both 3.7 and 1.5 volt batteries. Protected vs Unprotected 18650 Batteries? 18650 protected batteries have an electronic circuit. The circuit is embedded in the cell packaging (battery casing) that protects the cell from “over charge”, heat or “over discharge”, over current and short circuit. A 18650 protected battery is safer than an 18650 unprotected battery (less likely to overheat, start on fire). Unprotected 18650 batteries are cheaper, but we do not recommend their use. Unprotected batteries should only be used in where load/draw and charging is externally monitored and controlled. Properly dispose of any damaged 18650 batteries at a battery recycling center. The protected batteries normally have a “button top”, but check the specs to make sure. How much power does an 18650 have? A 3.7v a 3400mAh 18650 stores about 2 aH to max of 3.5 aH. It can store about 10 to 13 watt hours. A small air conditioning unit that can cool about 9000 BTU uses about 1100 watts per hour. So it would take more than 110 of the 18650 batteries to run the air conditioner for 1 hour. In comparison you would need three 12v 40 amp car batteries. But 110 18650s is smaller than 3 car batteries. How many times can you recharge an 18650 or other battery? Recharge cycles vary and are limited. Think of it like a bucket. The trick is that the bucket also gets filled with other junk over time, so there is less room. As it is reused, the battery degrades due to oxidation and electro-chemical degradation. This happens to any rechargeable battery such as an 18650, 26650, 14500, AA, AAA or even a car battery. They can only be recharged a limited number of times. You want to select rechargeable batteries that can be recharged many times. We specifically recommend the because they have the ability to be recharged 1000 to 2000 times. 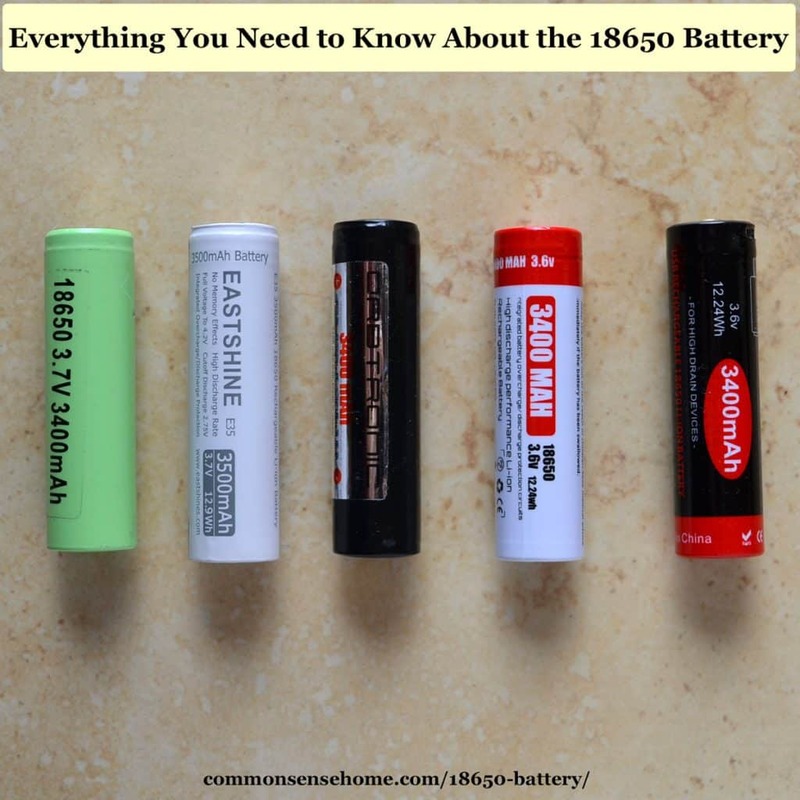 What are 18650 batteries used for? Flashlights, electronics, vaping and even electric vehicles use 18650s. The Tesla uses 7180 of these batteries. Some high lumen flashlights such as the Thrunite TN14 or Fenix PD35 use the 18650. Laptops and other electronic devices use a one or more 18650’s allowing them to be recharged. They are also used in vaping (smoking) devices. 18650s are are generally Lithium Ion batteries. If you are familiar with electronics you can change out some battery packs manually, but be careful though – using the wrong type of 18650 or using it incorrectly can cause a fire. 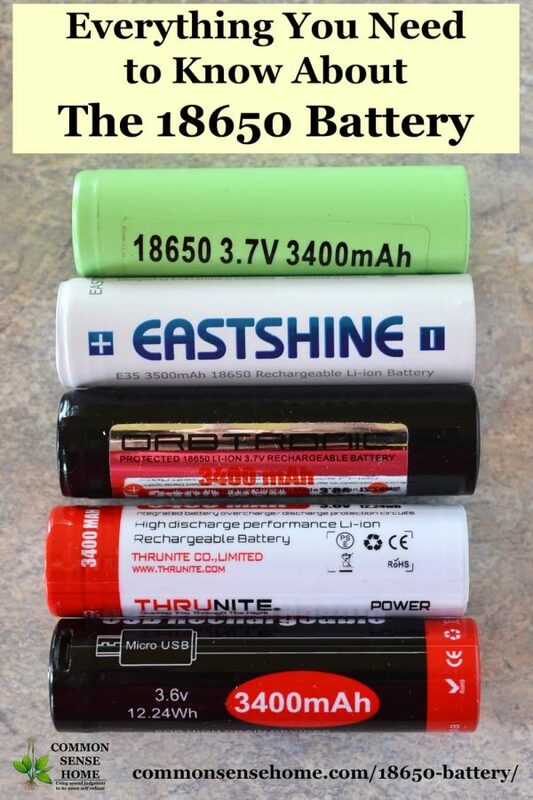 Which is the Best 18650 Battery? 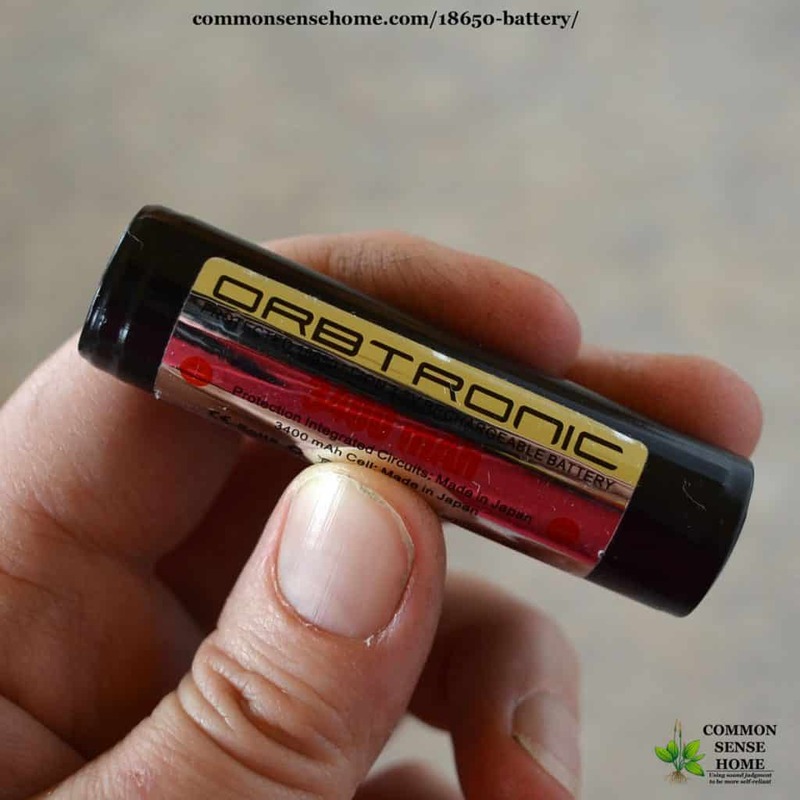 Overall best 18650 battery – The Orbtronic 18650 battery. This is an 18650 3.7v 3500mAh Protected cell. This is a high drain battery. 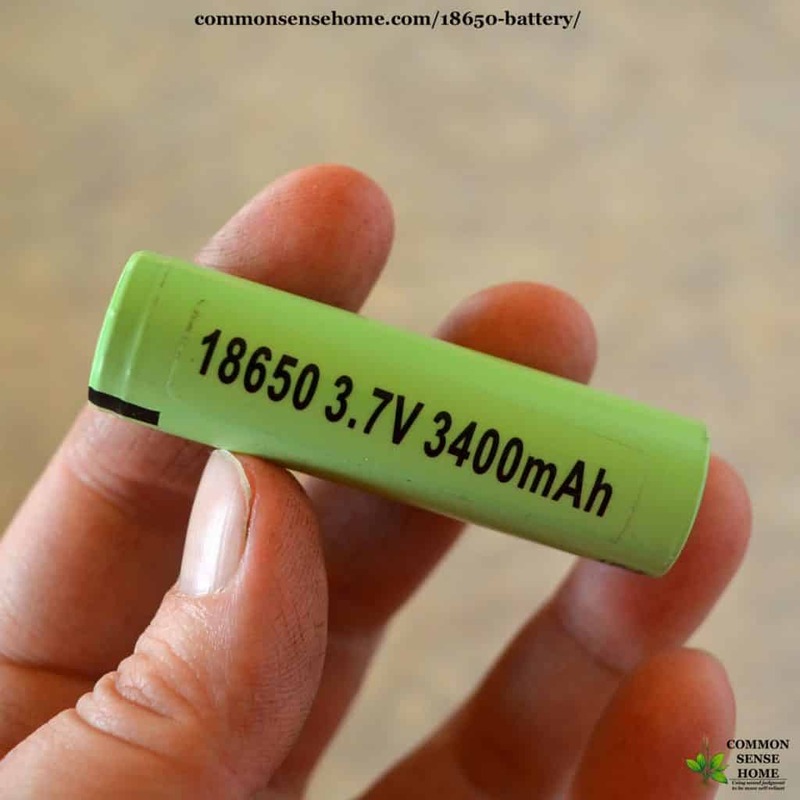 Best low cost 18650 battery – The Panasonic NCR18650b. The Panasonic 18650 is an 18650 3.7v 3400mAh Protected cell. Less expensive and slightly lower amp hours. This cheap 18650 battery is still more expensive than the unprotected ones. Note: Some resellers don’t clarify if the NCR is protect or not – buyer beware. In simple day to day testing, the Orbtronic, Panasonic and Nitecore are good reliable 18650 rechargeable cells. Buy them from a reputable source. We don't like the Samsung 18650 battery line because of the lower voltage and amperage which results in lower amp hours and wattage. 18650 batteries are rechargeable, so you will need a good charger. We use two different 18650 chargers. The best 18650 battery charger is the Nitecore D4 because it can charge pretty much anything. Specifically, it supports: lithium ion 26650, 22650, 18650, 17670, 18490, 17500, 18350, 16340 (the 16340 is also known as RCR123), 14500, 10440 and Ni-MH and Ni-Cd AA, AAA, AAAA, C rechargeable batteries. This is our favorite charger for the 18650s. 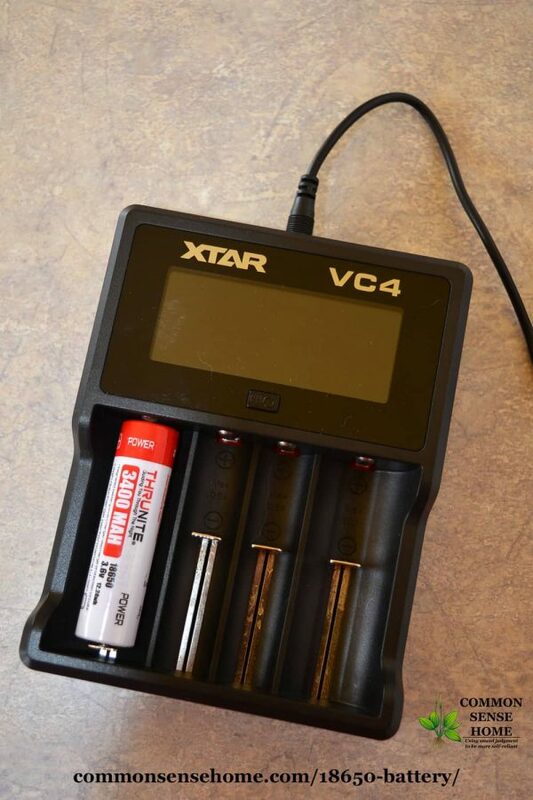 Our runner up is the XTAR VC4 Charger. It is a USB powered 18650 charger, so it charges the batteries with any USB power source. This unit is dependent on the power source, and has an LCD display for charging status. A 2amp interface yields slower charge speeds. Even the 5amp is slow because it charges at .5 amps. We use the XTAR with a Nektek solar panel that has a 2amp USB interface and it has consistently worked. 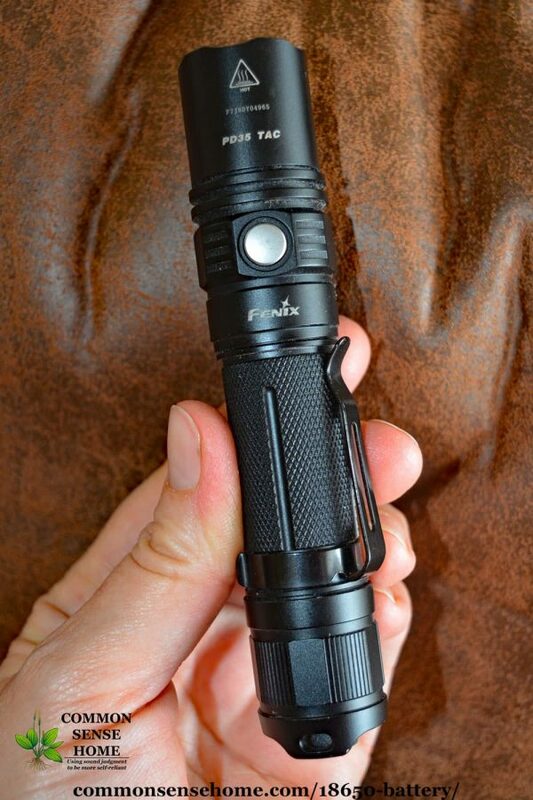 The best 18650 flashlight is the Fenix PD35. It is not cheap but it is durable and very bright, and has a pocket clip. The light level is 1000 lumens, and it is water resistant to IPX8. It has six modes 1000 Lumen Turbo; 500 Lumen High; 200 Lumen Mid; 60 Lumen Low, 8 Lumen Eco and the 1000 Lumen strobe. 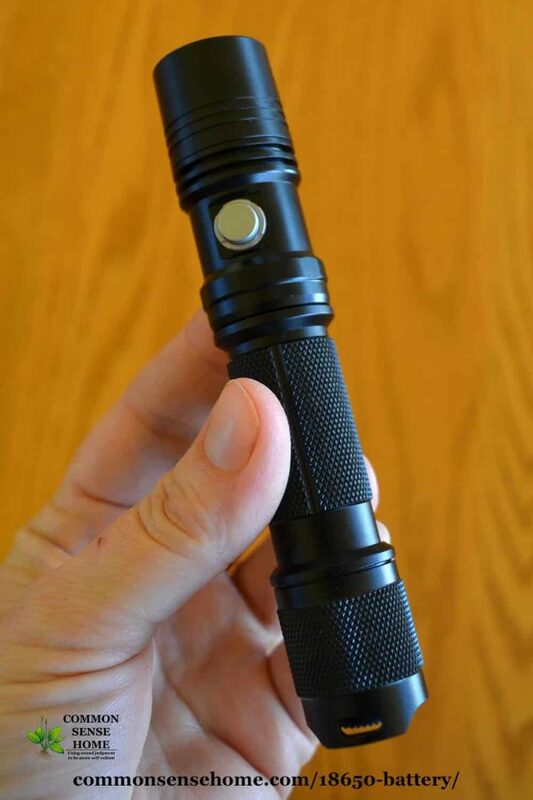 Firemen, law enforcement and military personnel regularly use this tactical flashlight. The best mid to low priced 18650 flashlight is the Thrunite TN12 1050 lumen flashlight. It is about 1/2 the price of the PD35 and slightly brighter. It is a GREAT buy (we have a couple in emergency kits). Either of these are great LED Flashlights that use the powerful 18650 battery. Do Battery Powered Space Heaters or Emergency Heaters Exist? August, can you kind of put this in ‘plain English’ for us less tech savvy folks? Are these better than say, nicad batteries? longer life usage wise as well as recharge times wise? Are they more cost effective than other rechargeables? I don’t mind a larger up front cost if it is going to save me more money in the long run. 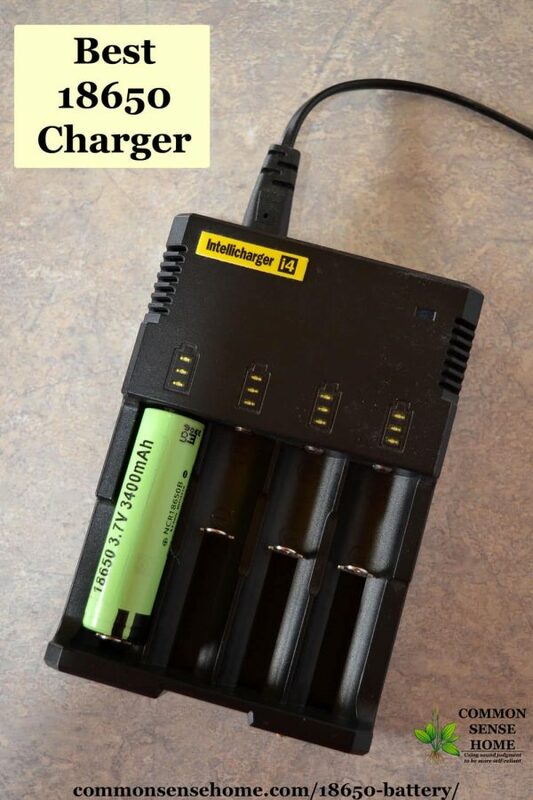 DH uses rechargeable batteries for his work equipment (cheaper stuff, but company reimburses him) and if we can find something more cost effective, that would be great. Good questions and thank you for the kind words. 1st off I would not switch devices that use AA or AAA to 18650 unless it was an EVERY DAY use. I might use up the old AA or AAA batteries first before considering switching. Remember these are completely different sizes, and weights. But if you have a need for a very bright flashlight or a device that uses the 18650 go for it. They can be recharged and are readily available from dozens of manufacturers and are likely to only get better over time. As an example I would recommend the ThruNite TN12 or Fenix PD35 to a police officer hands down. It has more power so will last longer in use. Nicad (NiCD), Lithium ion, Nickel-Metal Hydride (NiMH),lithium polymer, alkaline and lead/sulfuric acid in a 12volt car battery — are all ways to store energy. Alkaline and straight lithium (like Energizer Ultimate) are NOT rechargeable. We like the non-rechargeable Energizer Ultimate (lithium) over the other alkaline batteries because they are much less likely to leak/corrode. Also the Energizer Ultimate has a 20 year shelf life, so is great for emergencies. Some of the rechargables have longer shelf life too. Again you need to compare the battery to your use. 18650’s are designed for use – not shelf storage. Are these better than say, nicad batteries? longer life usage wise as well as recharge times wise? Not Necessarily, you have to read the specs to confirm. Some of the extreme drain rechargeable batteries will only recharge 100 to 500 times where a more normal high drain could be recharged 2000 times. This matters if you use a device every single day. The AA will last longer for the same amount of light than AAA, and an 18650 will last even longer (see the table). The 18650 has 10x the wattage capacity as the lower end AAA and the 18650 is 3x to 4x the capacity of the AA. Are they more cost effective than other rechargeables? Overall, we recommend any rechargeable including: car batteries, NiMH, NiCD and LiPo. The 18650 is rechargeable Lithium Ion. The only thing we recommend the Alkaline for are gifts or devices that are likely to get lost. Whether you are using AA, AAA, 9v, button or a car battery – match the battery to your needs. But note the Energizer Ultimate has more “capacity” than the normal 14500, but it cannot be recharged. 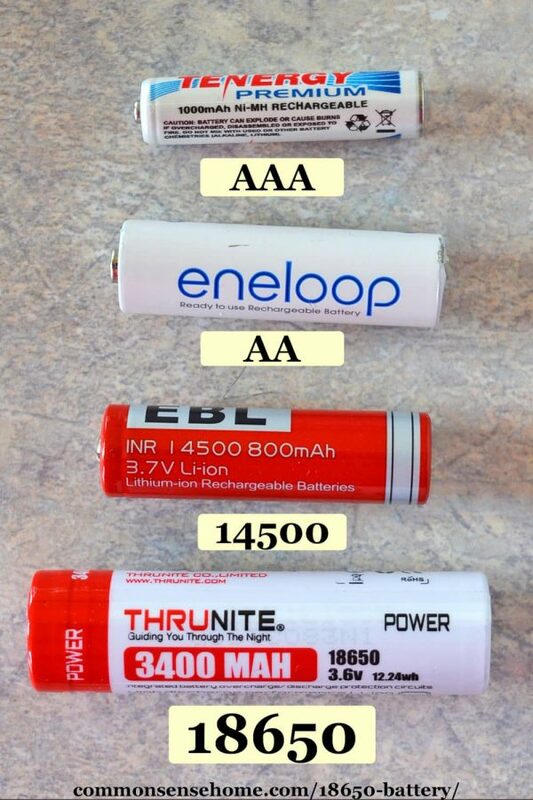 We don’t recommend the alkaline AA/AAA batteries they are cheap. BUT an alkaline battery is way more expensive compared to rechargeable after only 2 to 5 recharges. They can be used in high-drain devices (high lumen LED flashlights, digital cameras etc) BUT their life expectancy will be sharply reduced. They also suffer from more temperature sensitivity. And in day to day experience they tend to corrode and fail more frequently. I enjoy your articles and the great information they contain very much and those of your wife also. I just have one small complaint. Your articles can be shared on social media everywhere for people all over the world but you don’t have a print function. Many times I want to print an article to reference later without trying to remember which website it was on. For everyday living commonsensehome would be one of the first places I would look, but for a certain battery I might have to check seventy different sites and no telling how many articles. Please think about adding the print button. I totally understand your dilemma and we wanted to provide that feature. Laurie and I researched (and regularly check) for a printing plugin. None of the ones we found so far work on all platforms (windows, unix, android, iPhone, apple mac etc). Here are a couple options: (1) In many browsers you can right click and select print (2) cut the entire post and paste it into your favorite editor and print (3) use the specific browser print function. Hi August, thank you for putting this article together! I bit the bullet and bought a 2018 Lupine Blika headlamp to use on week+ long ski trips here in Alaska. Really only use the 3 watt output setting, the larger bulbs give an unnecessary amount of light and drain a battery VERY quickly. The battery pack that came with the head lamp is small and I need more capacity but the larger OEM battery packs are prohibitively expensive. Owner’s manual says the OEM battery packs have 18650 batteries in them so I figured I’d just buy 18650 batteries and make up my own battery packs. Discovered when I went shopping for batteries that there are apparently dozens of 18650 battery types/outputs and I have no idea which one to use. The battery voltage in the owner’s manual says 7.2 volts and it has a visual battery level meter built right into the the battery pack. I assume the OEM battery pack has circuitry to give a consistent power output so the light stays near the same brightness for the duration of the battery discharge cycle. If I make up my own battery pack, I’ll lose that circuitry and may toast my very expensive headlamp due to too high or too low power input. Is there a stand alone voltage, wattage unit I can buy to put in line to properly regulate my home made battery pack output? And, which 18650 battery will be the best for my usage? Because I’m carrying them, low weight and high capacity is necessary. In response to your comment, the output must match the unit you are using. The 1860 I note in the article is protected mode, so it will not burn up or draw outside spec (that is the battery side). The headlamp battery pack may have a voltage regulator built in. The only suggestion I have is to tinker; but only if you can afford frying one. A lot of the LED emitters circuits will take any 18650 – but some may damage the circuit without protection on the LED side OR they may accept any voltage and work fine. The little AA flashlight we reviewed, will use either an AA or 14500 which are dramatically different, so the only way to find out is test it. Watch out for overheating and be prepared to fry your electronics. If you succeed (or fail), would you mind writing a guest post on this? I am sure the community would appreciate the information. Regarding weight, all 18650s are all fairly heavy. I have not seen a LIPO 18650 yet, but they might be available somewhere. If you are going for lightweight the Energizer Ultimate Lithium AA are super light but one-time use. You would need an AA based headlamp such as the Fenix HP15 – and then you could pick AA rechargeables such as Eneloop Pro or Tenergy are both good depending on use profile – in your case I think the higher mAh would be better from the Eneloop Pro.